A 30-year veteran of the Department of Water Resources, Mark W. Cowin has served as its director since February 1, 2010. Cowin received a bachelor of science degree in civil engineering from Stanford University in 1980. He began his long tenure at the department shortly after college and held a variety of engineering positions from 1981-1998. 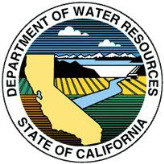 He was assistant director for the CAL-FED Bay-Delta Program, in charge of water management planning activities from 1998-2002. Cowin moved up to chief of the division of planning and local assistance in 2002, where he was responsible for the state’s strategic planning for water management and for providing technical and financial assistance for water management to local agencies and communities. He held that position until 2008, when he became deputy director of integrated water management, where he oversaw DWR’s flood management and safety programs, implemented integrated regional water management, coordinated the department’s climate change efforts, and updated the California Water Plan. When Governor Arnold Schwarzenegger appointed Cowin director in 2010, he bumped the incumbent director, Lester Snow, up to secretary of the department’s parent, the Natural Resources Agency. Snow only lasted a year in that position before being replaced by Governor Jerry Brown appointee John Laird.